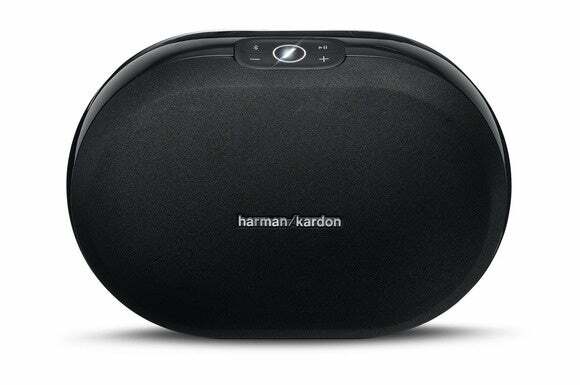 When Harman launched its Harman Kardon Omni Wireless HD multi-room audio system last year, some of the speakers had dormant features, such as an embedded microphone in the Omni 20 speaker shown above. On Thursday, the company announced the availability of an Android software development kit (SDK) that third-party software developers are using to leverage those features. (Harman already has an SDK for iOS devices.) 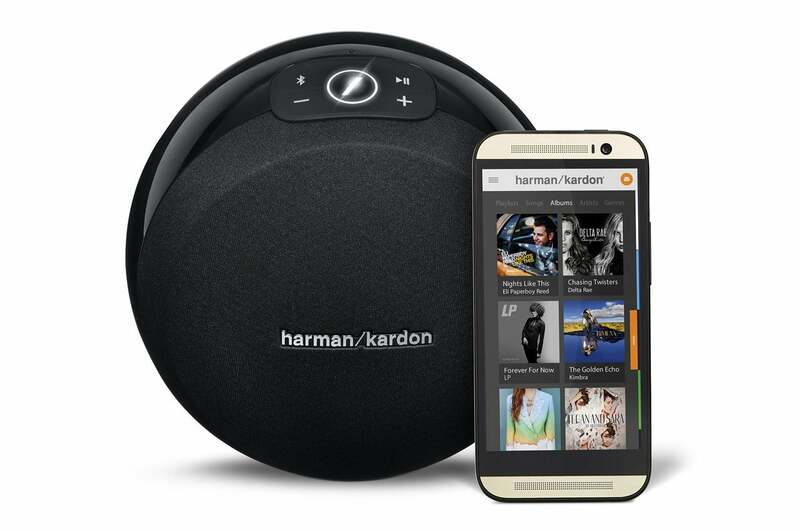 Harman is hoping some of those coders will build apps that incorporate its Omni speakers into connected-home platforms. Harman VP of Developer Community and Programs Kevin Hague demonstrated one such app for me yesterday. As Steely Dan played on a group of Omni 10 and Omni 20 speakers, Hague pulled out his phone and said “Wouldn’t it be great if you could use your multi-room audio system as a paging system?” Touching a button on the phone’s screen, he said “Kids, it’s time for dinner.” Less than a second later, the music paused and his recorded message played on the speaker. The music resumed right after. Harman now has Omni Wireless HD SDKs for both the Android and iOS platforms. Why this matters: Personally, I’d love to have one app that ties together all the systems in my connected home—security, lighting, climate control, entertainment, window shades (currently on my wish list), and more—without having to do any custom programming. The paging feature Hague demonstrated is a great idea, and I imagine independent developers will think of many more: Play a pre-recorded message when the home-security system detects an intruder; use voice commands to play, pause, and resume a song; create playlists for various moods that automatically set a room’s lighting to match are just a few examples. The demo showed how Harman's software lets speakers integrate with your home systems. Voice commands, for example, would be relayed to your home’s Wi-Fi router, which would then pass it along to whichever hub you use to control your home’s systems. Harman’s software can also identify the status of speakers, determine the strength of the Wi-Fi signal, and receive events—such as volume control adjustments—back from the speaker. Harman had previously announced a strategic partnership with the crowd-sourced product-development outfit Quirky to jointly develop a future generation of speakers, so it’s conceivable that the Omni line could tie into the Wink connected-home hub that Quirky spun out in 2014. Speaker systems are a mature market, with the notable exception of wireless speakers. But when you’re talking about multi-room wireless speakers like Harman’s Omni series, no one has been able to dislodge Sonos. I’ve spoken with custom installers who build very high-end entertainment systems for very wealthy clients, and many of them include Sonos hardware in their projects. If Harman uses its SDKs to exploit the biggest weakness in Sonos’s armor—its tightly closed, proprietary architecture—it could enjoy considerable success. Harman’s Omni system already offers a number of features that you can’t get with Sonos, not the least of which is the ability to stream music at sampling rates of 96kHz with 24-bit resolution (Sonos is limited to 48/16). You can also use Bluetooth to stream music to one Omni speaker and have it rebroadcast to the rest of the network—Sonos doesn’t support Bluetooth streaming at all. Hague also told me Harman is working on increasing the Omni’s specs to support 196/24 files. Harman's demo showed just a hint of what its Omni Wireless HD speakers could do in a connected home. What scenarios can you think of? Share your thoughts with us in the comments section, below.